ARRESTED ON ST. CROIX TUESDAY: SCOTTY RICARDO STAPLETON, 32 YEARS OLD. FREDERIKSTED — Three St. Croix men were arrested early Tuesday morning and charged with illegal gun possession, authorities said. 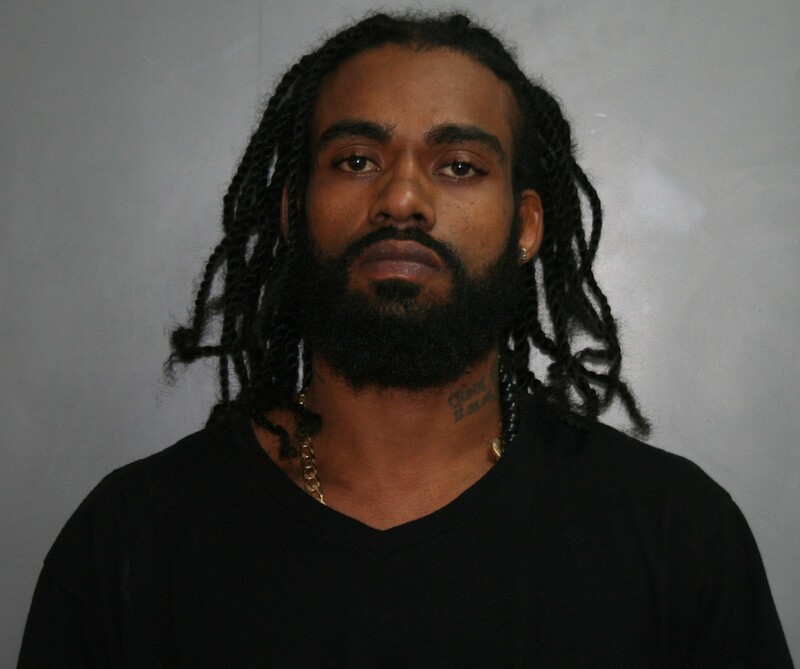 Detectives from the Criminal Investigations Bureau, Special Operations Unit and Federal Law Enforcement officers executed a federal warrant at about 3 a.m. on Tuesday at the home of Amead Williams and Akeem Stanley in the Frederiksted area, the Virgin Islands Police Department said. Once inside the home, police discovered an assault rifle with fully loaded 223 round found in the living room as well as multiple loaded magazines, according to the VIPD. All three men in the home were arrested and charged with crimes, including Scotty Ricardo Stapleton an undocumented individual who was also living in the home. Amead Williams 23-years-old was arrested and charged with an indicted person in possession of a firearms he was already on house arrest for a previous gun charge at the time of his arrest. No bail was set. Akeem Stanley 25-years-old arrested and charged with aiding and abetting an indicted person and unauthorized possession of a firearm bail was set at $50,000.00. Scotty Ricardo Stapleton 32-years-old arrested and charged with being an illegal alien in possession of a firearm. Stapleton was detained due to his immigration status and is considered a flight risk because he has no ties to the community. The VIPD thank the Community for their assistance in the fight against crime. 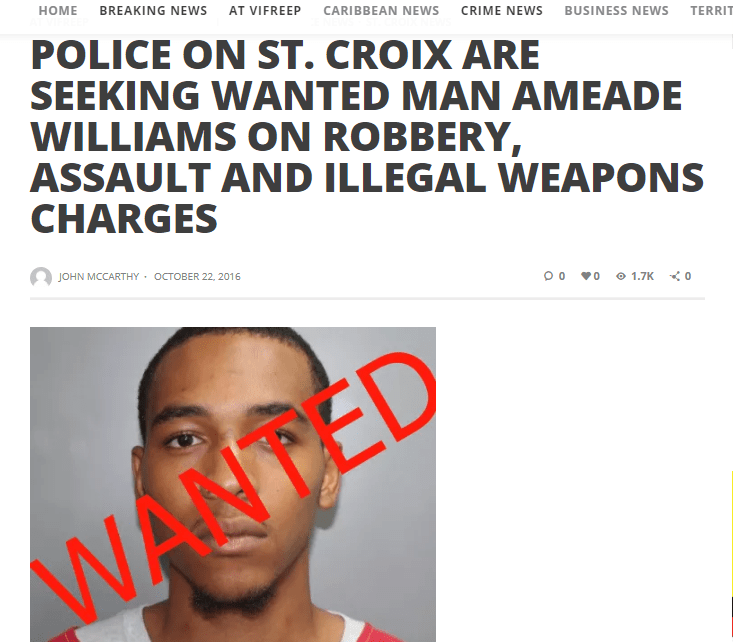 Police put out a wanted poster for robbery and illegal weapons charges on Amead Williams on October 22, 2016. If you have information on this case or by other in the territory please call 340 778 2211 STX , 340 774 2211 STT , Crime Stoppers VI 1800 222-8477 or 911.